A tiny minority of Muslims has engaged itself in a war (jihad) against the West in general and against the US, Israel, and India in particular. 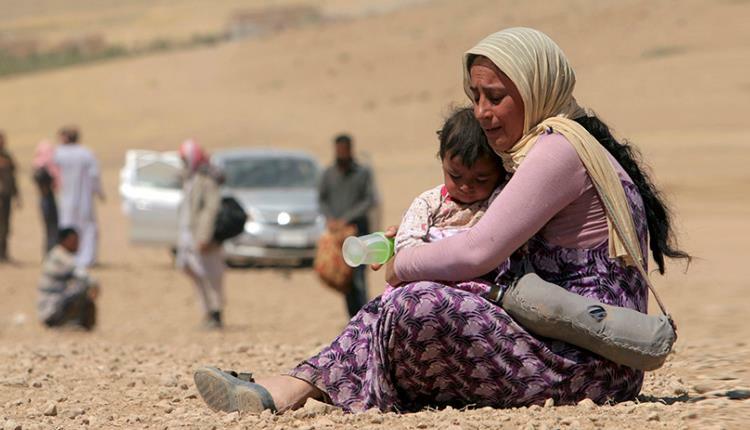 What they are doing through their military adventurism is causing the entire Muslim ummah suffering at the hands of the Jihadis and, because of their misadventures, at the hands of the US and others as well. The analysis of the situation done by the Jihadi Muslims is that there is a grand conspiracy of the Jews which has caused the entire West to go against Islam and Muslims. They believe that the only way to counter this trend is to undertake an open war against them. If Muslims join hands and fight against the US, Israel, and India, God Almighty would help them in annihilating these enemies of God, His messenger, and Muslims. Most certainly, proper solution to a problem is based upon two components: the right analysis of the problem and a sincere effort at implementing the solution based on the analysis. In my opinion the analysis of these Muslims is seriously flawed. 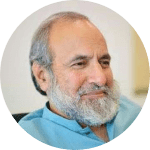 The truth is that the opposition of the US, Israel, and India against Muslims and their successful attempts to subjugate and cause serious damage to us is not the cause of our woes. Their successful military adventurism against us is in itself the result of another, bigger cause. It is God’s displeasure with Muslims that has allowed Americans, Israelis, and Indians to successfully launch their military campaign against us because God is allowing them to be succeed in their mission. It cannot be that despite the fact that He doesn’t want them to cause damage to us, we would still suffer. When the promise for the first of the two fore warnings came to be fulfilled, WE SENT AGAINST YOU OUR SERVANTS WITH MILITARY MIGHT: THEY RAMPAGED THROUGH YOUR HOMES TO CARRY OUT THE PUNISHMENT OF WHICH YOU WERE FOREWARNED. Then after this, we afforded you an opportunity to overpower them and helped you with wealth and sons and granted you more manpower. If you perform well you do so for your own benefit; but if you do evil, it would cause harm to your own selves. Then, when the promise for your second forewarning came to be fulfilled, (WE SENT ANOTHER ARMY) TO DISFIGURE YOUR FACES AND TO ENTER YOUR TEMPLE AS THE FORMER HAD ENTERED IT BEFORE AND THEY UTTERLY DESTROYED ALL THAT THEY LAID THEIR HANDS ON. Now your Lord may again be merciful to you; but if you repeat the same behavior, we will repeat the punishment, and in the hereafter, we have made hell a prison for such unbelievers. Indeed one of these two analyses of the situation could be correct: It’s either the lack of proper willingness, as the Jihadis say, in the majority of Muslims to fight against the US and its allies which is causing Muslims to be damned in this world or it is God’s decision to inflict His punishment on Muslims through “our servants with military might” which is causing Muslims to be in the state of complete disarray. One of the two possibilities could be correct. Both cannot be simultaneously correct unless one agrees with the proposition that God is displeased with Muslims because they were not undertaking Jihad against the non-Muslims, which is what the Qur’an is most certainly not suggesting. The Qur’an is warning the Children of Israel in the above-stated passage of dire consequences because they did mischief on the land twice and they become arrogant transgressors. i) As a nation Muslims are corrupt. Cheating, disregard of merit, and breaking of commitments are some of the crimes we are consistently committing. Exceptions apart, hypocrisy is the hallmark of the present-day Muslims. ii) The present-day Muslims are extremely arrogant. Despite being morally corrupt, Muslims are dead sure that they will eventually succeed in the hereafter while all non-Muslims shall be doomed. 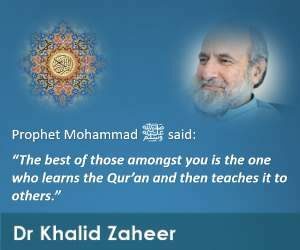 iii) The greatest evil in the present-day Muslims is that although they were expected to bring non-Muslims closer to Islam by their good acts and words, they have caused them to hate the religion of God by presenting a picture of it which cannot incline a decent human being to accept it as the religion of God. The Islam Muslims are presenting appears to be against every beautiful blessing God has created for humans in this life; it seems to suggest that the creator of this world is, God forbid, extremely unfair in that He will look at the religion of humans and not their intentions and deeds while deciding about their eternal fate; they have also caused great harm to the message of God by creating the impression that hating fellow humans to the extent of even killing them was a part of the expectation of God from his His devoted servants. If these allegations against Muslims were correct, how can a sane non-Muslim come close to Islam? And if non-Muslims, who are equally God’s creation, have been drawn away from His religion by the misdeeds of Muslims, how can He be pleased with them? And if He is annoyed with Muslims, why should He not punish them? If what I am claiming is correct, then the Jihadis are fighting a losing battle, because they are not fighting against the Americans, Israelis, or Indians; they are fighting against God’s decision. If they are really interested in bringing back the lost glory of Muslims, they should address the problems that are causing God to be displeased with Muslims.